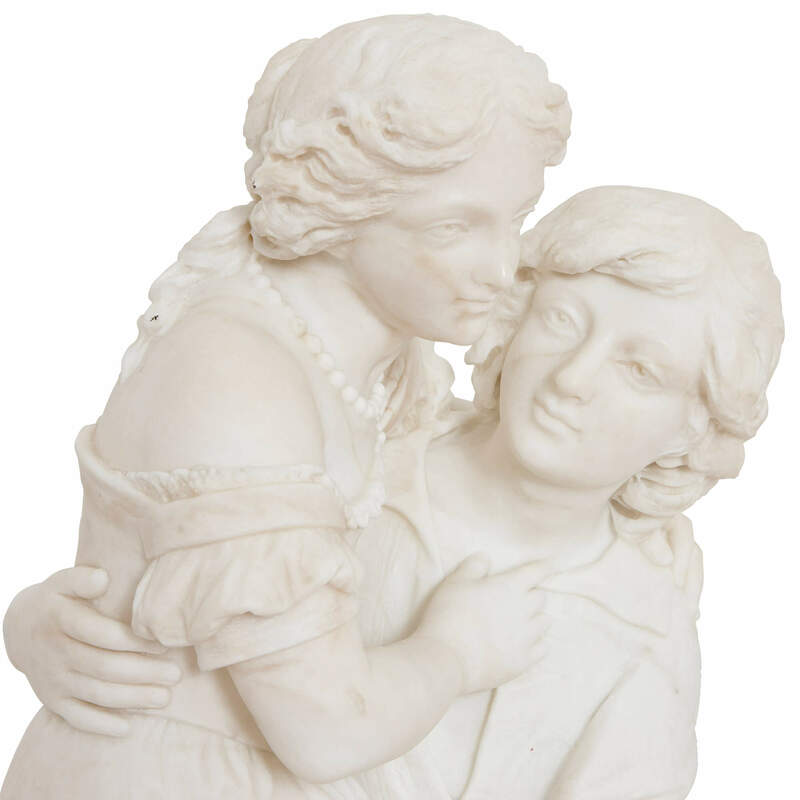 This marble group is delightfully sculpted to show two lovers on a tree stump, and will make an excellent accompaniment to the interior of a luxury home. 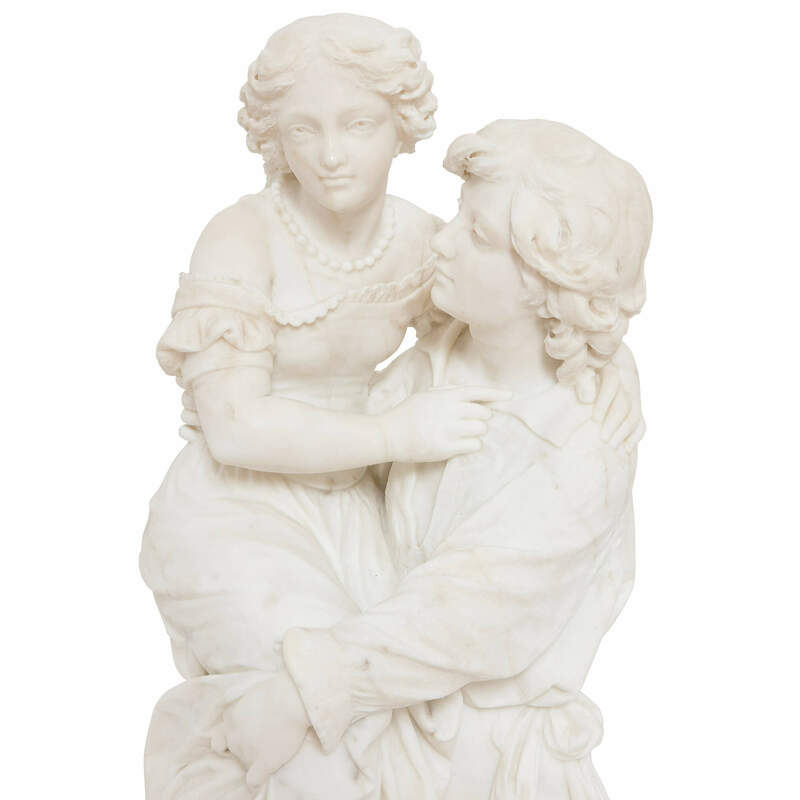 This fine antique marble sculpture is a wonderful 19th Century piece, full of movement, expressiveness and delicacy. The sculpture depicts two lovers, both barefoot, in an outdoor setting: the man is leaning on a tree stump, supporting a lady on his leg. The joy of the piece lies in the careful attention to detail of the sculptor, Guiseppe Andreoni (Italian, c. 1825- c.1890): in the way that the trim of the woman's dress is shown partly folded over, for example, or in the way in which the male figure's leg muscles strain to support their weight. 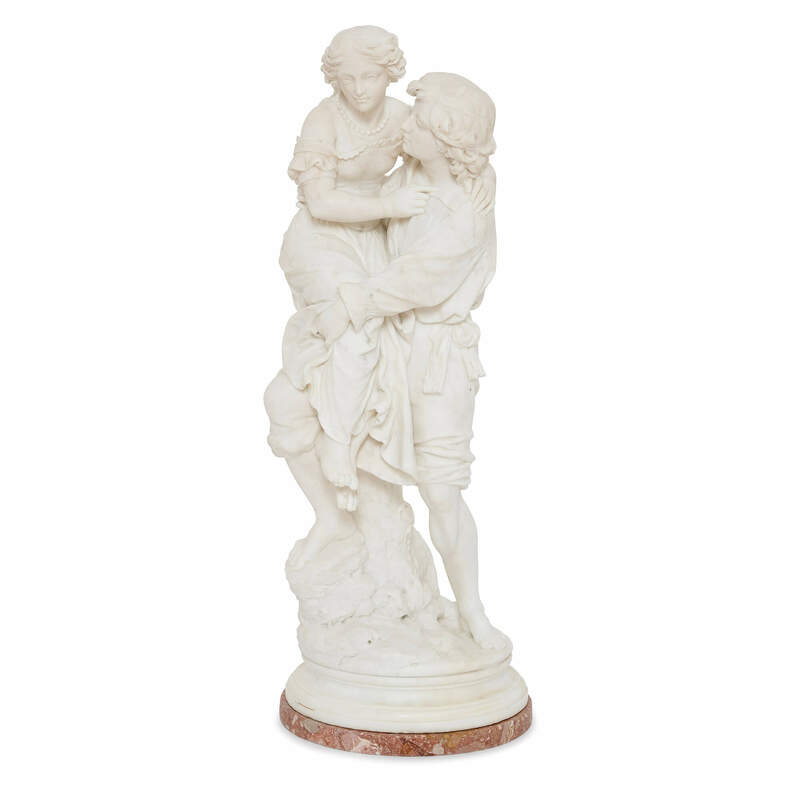 Andreoni was a well-respected sculptor working mostly in marble and alabaster, operating in Italy in the mid- to late 19th Century. Examples of his pieces can today be found in collections such as Gawthorpe Hall in Lancashire, England, owned and managed by the National Trust. 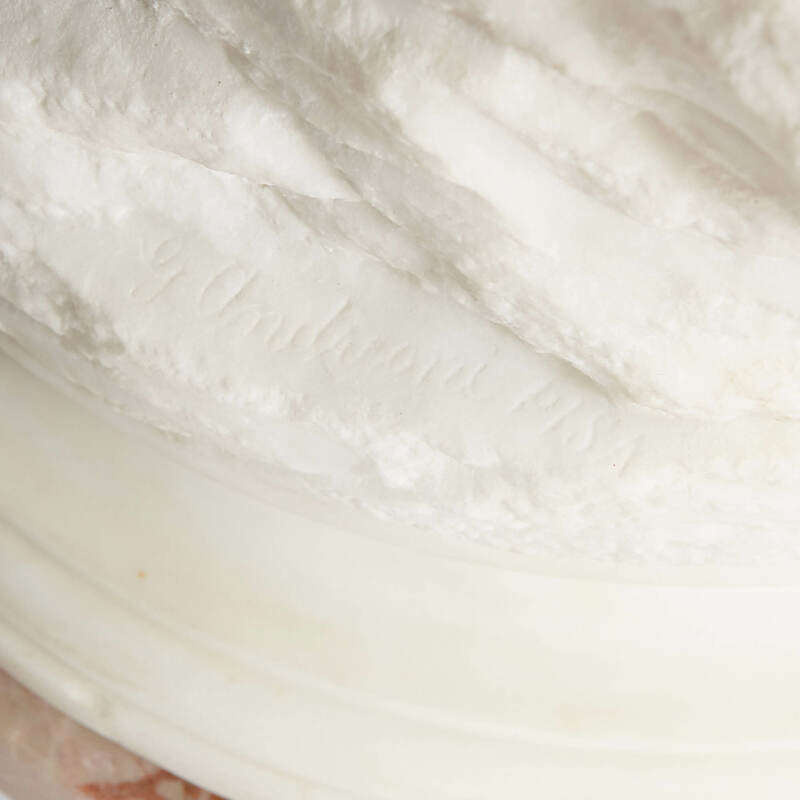 The white marble group is set on a naturalistic circular plinth, on a circular red marble base. The plinth is signed 'G. Andreoni Pisa'.